A wholesale business has a unique set of requirements for a website. Not only should your website list the products who have on offer, it should also streamline your business operations. After all, having separate databases, inventories and customer lists will mean that it’ll only be a matter of time before you become complacent, and data is missed. If you are looking at a new B2B website then I’m sure you have quickly become overwhelmed comparing Woo Commerce, Shopify and Magento. Inventory control is one of the most important facets of any wholesale or retail business. Not only is it important in the sense you need to know how much stock you have no hand, it is also vital come tax time. The backend of Woo Commerce clearly displays your inventory, so you can have a good understanding of your catalog. This inventory can be adjusted manually, automatically at point of sale or increased/decreased easily come time for stocktake. Want an alert when stock is running low, want to know your best selling items so you can stock up before peak times or what products are under-performing? – All this information is at your fingertips with a Woo-commerce platform. A real-time inventory sync will ensure your wholesale website, ecommerce retail website along with your bricks and mortar store with POS work harmoniously. Plugins such as Trade Gecko can be added to ensure inventory control across all locations. You and your customers will know exactly where the items are physically. Set tier discounts on your wholesale prices. These global discounts allow you to offer better incentives to your larger customers. This in turn assists with customer retentions well as increased ordering and brand visibility in their stores. Woocommerce also allows you to set minimum purchase quantities for pricing discounts, again creating incentives for bulk purchasing. Minimum purchase amounts can be set for an order total, at a category level or even at a product level. This allows you to set a price for one product and a discounted price when 4 or more are purchased. More than ever before it is important to keep a strong watch on your customer’s accounts. One way to simplify this is for your customer to pay at time of ordering. This ensures cash flow to pay your own accounts. Accepting multiple payment platforms including credit card and Paypal will not only speed up the checkout process it will also reduce Accounts receivable. Other new payment options which have just started to emerge in the B2B field include Afterpay, a payment service that allows your customer to pay you over 4 transactions whilst paying you immediately for the goods. Look out for Afterpay and other similar services as they will prove to be a game changer in financing. Boost your business efficiency and ensure all orders go out the door in a timely manner with order workflows that function well. Just as important as the purchase orders are the credit notes, receiving stock, returns to supplier. This control allows a greater customer experience ensuring all the order details and notes are kept in one place. Add an your preferred shipping provider’s API key for fast, click and print shipping labels for fast dispatch. On a B2B website prices should always be hidden from the public. 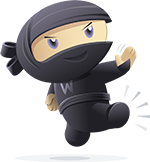 On a Woo Commerce Wholesale store you have the option to hide products, content and prices from the public – accessed only by a logged in user. In years gone past there was a reluctance for Wholesalers to sell direct to the public. If you still feel this hesitation then lean in and take note. Selling direct to the public allows you to create your brand’s story, showcasing its uses, the variety and a feel for its quality. Most likely, there will never be a store that carries your entire range and is able to get across your brand’s total image and ethos. This is your chance to show your retailers how to merchandise your product. Spend the time to apply engaging content for each product that displays all it’s features whilst conveying why they need it. Use quality imagery with both a white background and also a lifestyle shot. Get social and spread the word about your brand. Because here’s the thing, if your brand is visible your retailers will want it. They will know they can market it and leverage it in their own store. But one last thing, don’t make the mistake of competing with your retailer. Keep your prices high, discount infrequently and only apply clearance prices to end of line items. When i needed to sort out a web site i found Lime web, honest, open and refreshingly clear.